You may have seen this look on Instagram a while back, but I’m just getting to posting it. 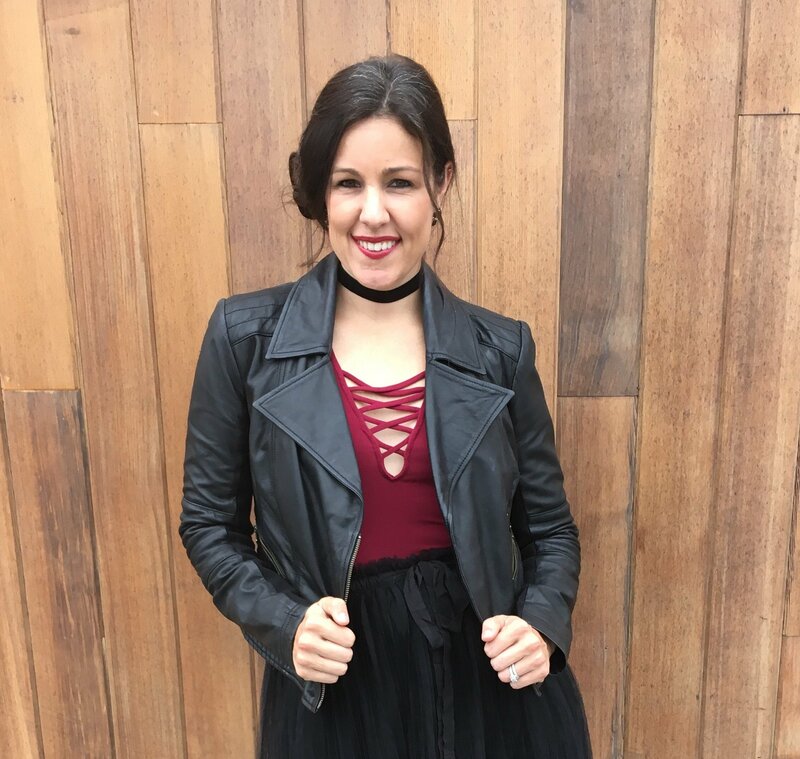 The beauty of this outfit is it worked during the holidays, but it can also work for Valentine’s Day that’s coming up, well depending on if you want to go for a look with a little edge. 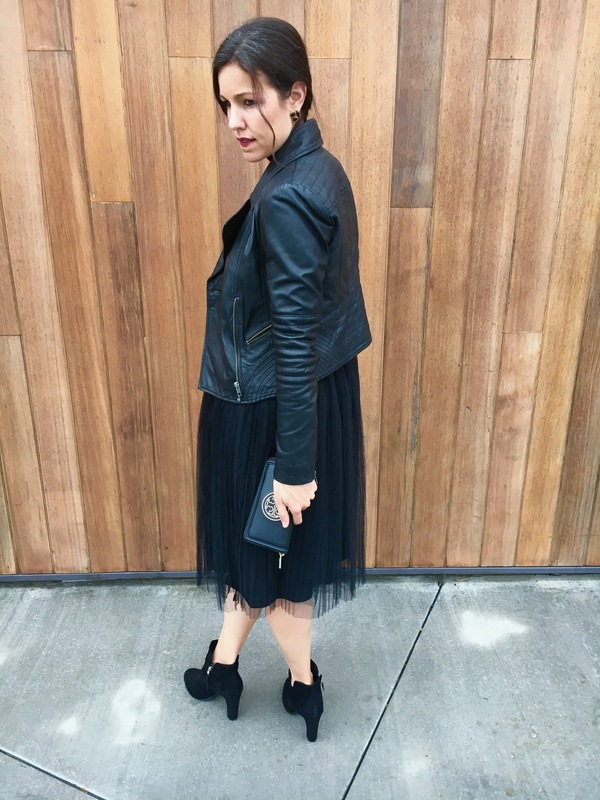 I love the combo of this flirty tulle skirt paired with the edginess of the lace-up body suit and leather jacket. I bought this skirt a while ago at Francesca’s and surprisingly have gotten a lot of wear out of it, much more than I thought I would. Thanks for stopping by. Hope you’re having a great week!! Linking up with: Walking in Memphis in High Heels + The Fashion Canvas, Beauty By Miss L, Style Elixir, Elegantly Dressed and Stylish, I Do DeClaire, Garay Treasures, Style Nudge, Myriad Musings, Shopping My Closet, Posh Classy Mom, Get Your Pretty On, Rosy Outlook + Seeking Sunshine, Pumps and Push Ups, and The Pleated Poppy. Awww this is a cute look! I love the tuelle and the laceup. Such a nice mix of feminine and edgy together. Such a great, stylish outfit! Loving the black tulle with that red top…and the detailing of it is so pretty. Looks great with a choker! So pretty! Love the tulle skirt!